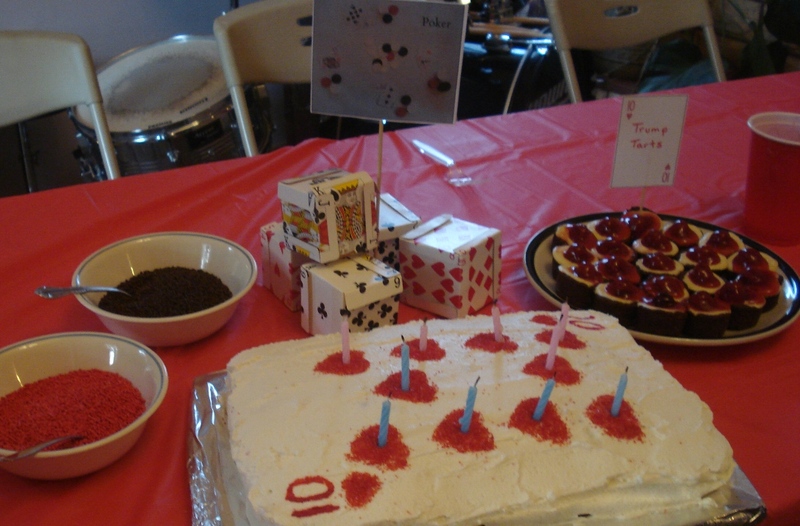 I helped my sister-in-law with my nephews 10th birthday party. 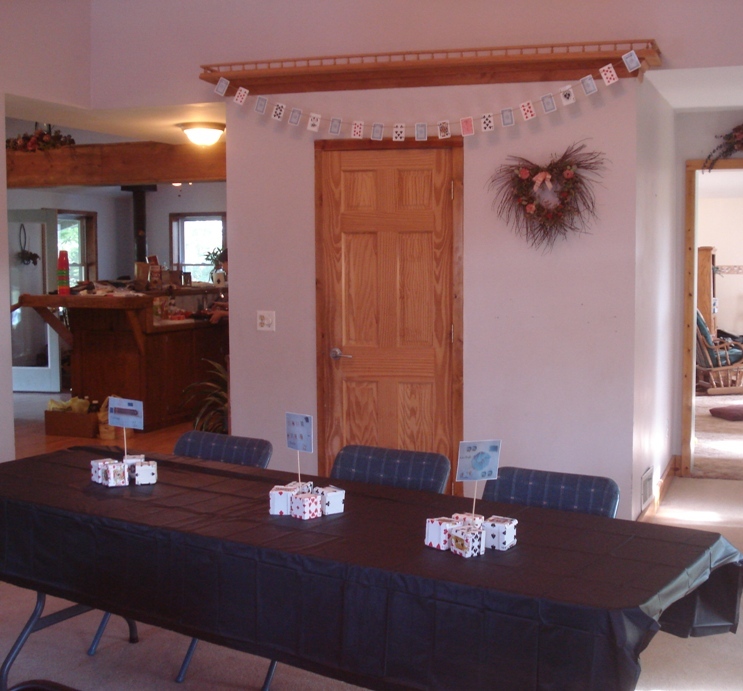 They have family birthday parties with a mix of adults (Aunts, Uncles, Grandparents) and children (siblings and cousins). 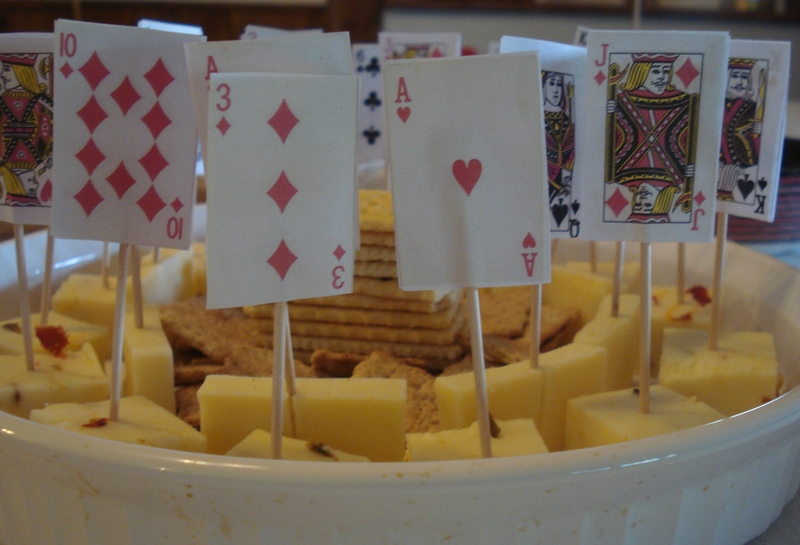 My nephew enjoys playing card games so this was the perfect theme. 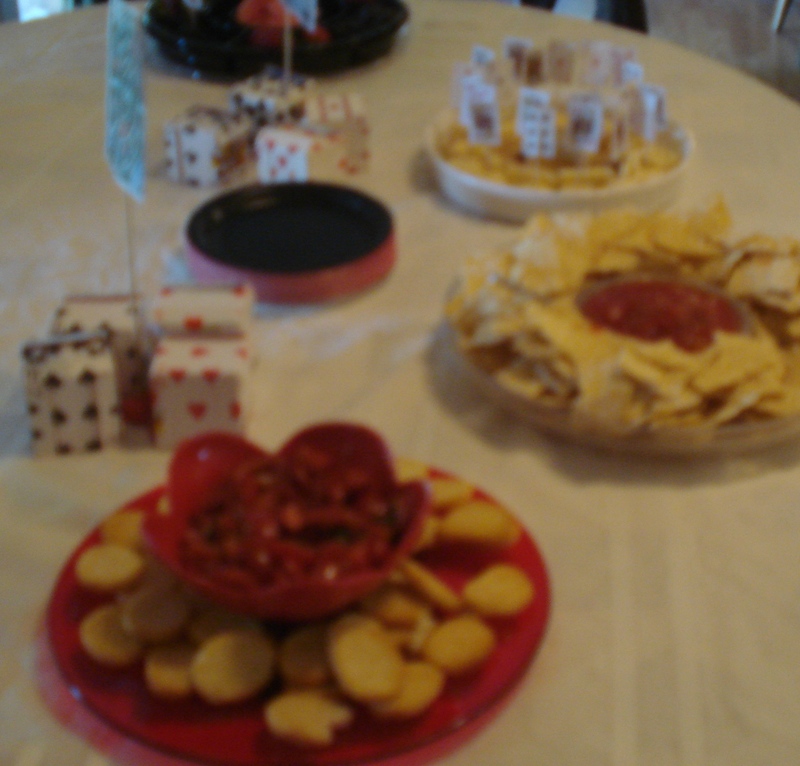 My sister-in-law did a great job with creating food in the black/red/white theme. My niece and nephews helped with the decorations. 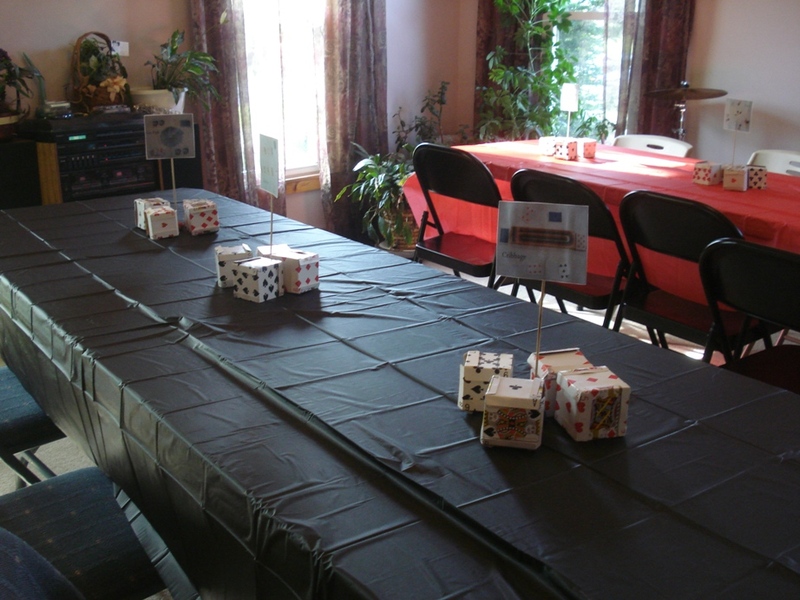 Centerpieces: Card cubes with card game set-ups. We used these wonderful directions. The birthday boy set-up the card games and I took photos. 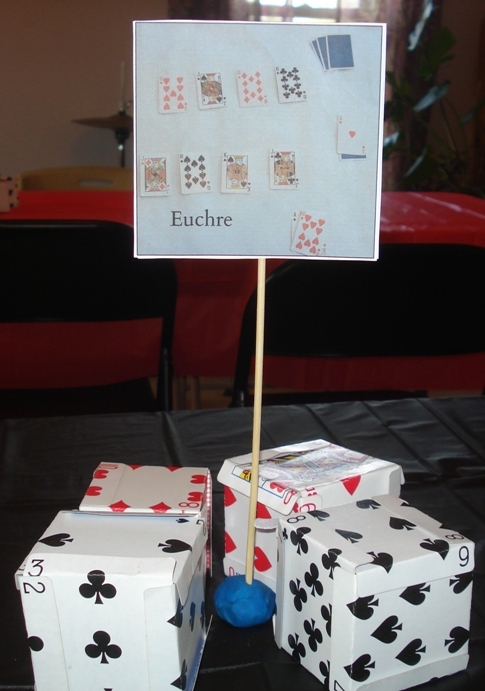 We created set-ups for Cribbage, Euchre, Go Fish, Poker, Rummy, Sequence, Solitaire, and Tripoley. Then I printed out two sets for each type and taped them to bamboo skewers. We stood them up in balls of clay. 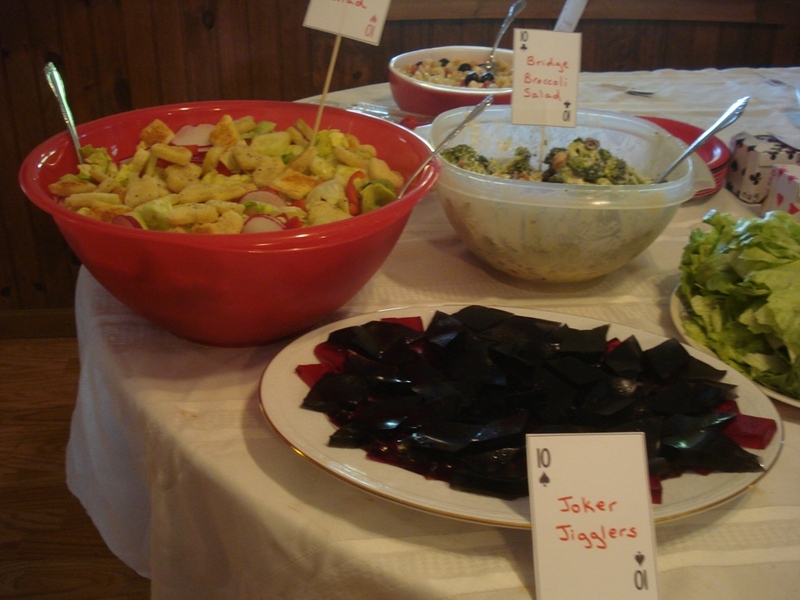 Red Suit Salad: I made hearts and diamond croutons using these directions. 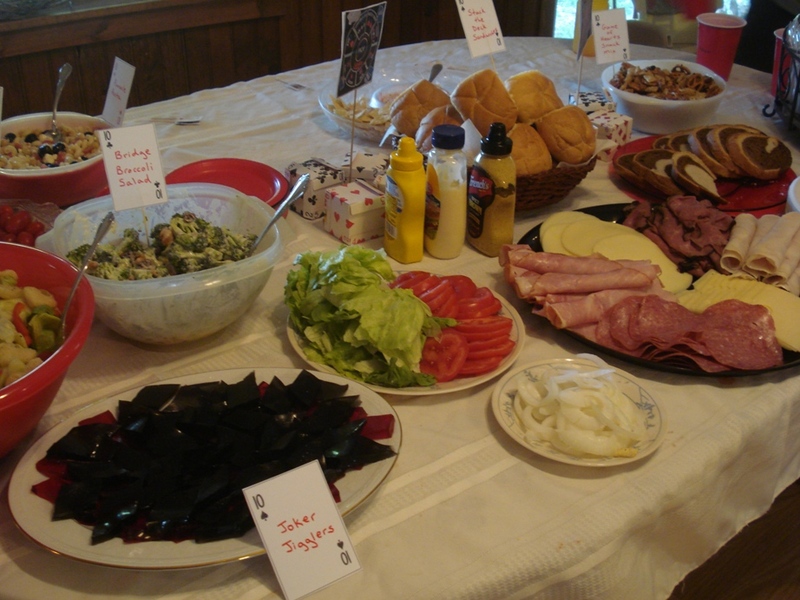 I also added sliced radish, sliced red pepper, heart and diamond shaped red pepper and cucumber to the lettuce. 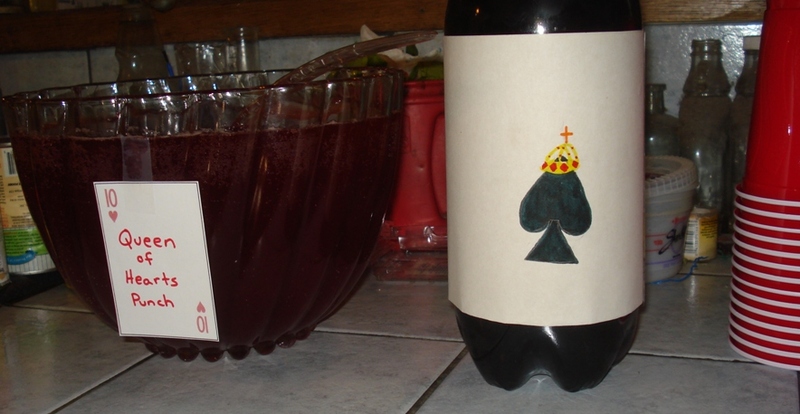 My niece created a cute label for the root beer bottle. 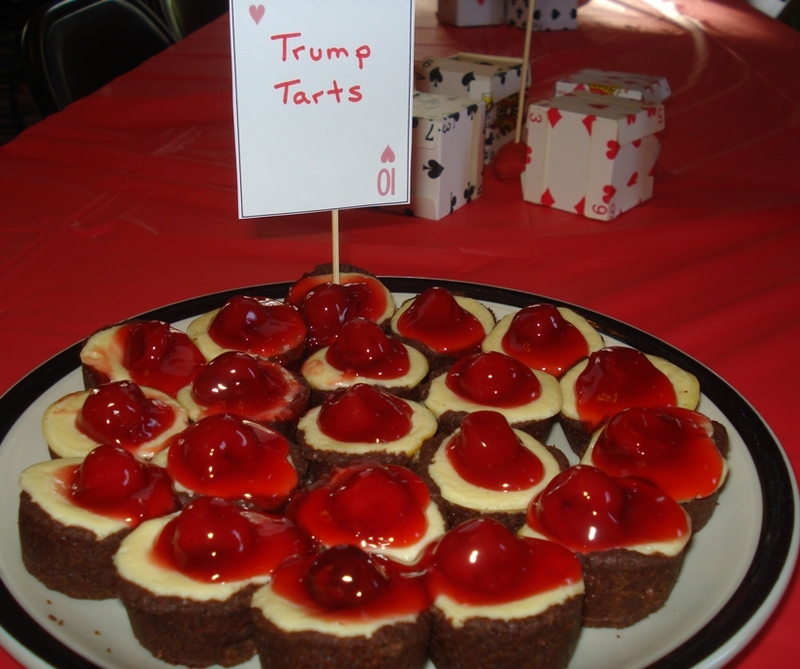 This entry was posted in Party Planning and tagged card party, deck of cards, party, playing cards theme party, trump. Bookmark the permalink.